As a Service-Disabled, Veteran-Owned Small Business (SDVOSB), Watermark understands first-hand the sacrifices, costs and difficulty associated with serving in the nation’s armed forces, and has always been a strong proponent for supporting American veterans. Today, Watermark’s workforce comprises of about 75% veterans, and members of the company have helped dozens of veterans find jobs with other companies through networking and direct referrals. 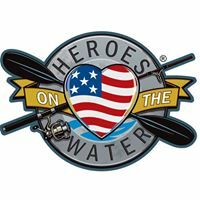 What a lot of people don’t know about Watermark is that we are also a proud supporter of the veterans’ charity, Heroes on the Water (HOW). HOW offers therapeutic kayak fishing to veterans and active-duty military personnel, first responders, and their families. Founded in 2007, the charity is dedicated to reducing the impact of post-traumatic stress and traumatic brain injury, while providing much-needed camaraderie and support. Watermark has a personal connection to the charity. HOW was started by Jim Dolan, an Air Force Academy classmate of one of Watermark’s founders, Brad Moffett. During an academy reunion, Jim spoke to Brad and mentioned the charity was looking for board members. Brad suggested Watermark’s co-founder, Matt Branigan’s recent board experience with another company, and the two linked up. Shortly thereafter, Matt was invited to join the HOW Board of Directors. There are many different ways to support HOW. If a person has the time and inclination, directly supporting the veterans through volunteering to help at a local chapter can be quite rewarding. If time or location is a problem, donating to the organization is another way to help. Volunteer-led chapters around the U.S. hold events which are free for our nation’s heroes. Recurring activities give these veterans and their families a lifelong social network with like-minded people. No experience or equipment is needed, and kayak fishing is adaptive to those with disabilities. For more information on how to support or link up with HOW, check out the organization’s website or contact Matt via our website contact page here.